The Siege at Elands River Post in which Australian Troops played a major part was one of the most remarkable engagements of the Boer War.The engagement was uncharacteristic of the role of the Australian Troops in South Africa and for the first time they were called upon to experience the privations of trench warfare. The significanceof this action was no doubt overshadowed by the horrific events of WW I. The establishment of Elands River Post was part of the British march East after the relief of Mafeking and the first occupation of the area took place on the 4th June 1900. The British under Colonel Baden-Powell established their headquarters at Zeerust, some 28 miles to the west. The supply depot at Elands River was an ideal staging post between Zeerust and the next objective, Rustenburg which was 80 miles away. On the 1st June a NSW Citizen Bushmen [NSWCB] detachment under Colonel Airey was sent to probe along the road to Rustenburg. Airey, on his return to Zeerust, left 2 lieutenants and 40 troopers at Elands River camp. On the 7th June they were joined by 70 British South Africa Police. On the 8th Captain Thomas with a detachment from A Squadron of the NSWCB came into the camp. When news reached the Boers in the area that Pretoria had fallen on the 6th June, it appeared that the war was coming to an end. Many Boers began to surrender their arms to the nearest garrison. Colonel Plumer brought his column to the Post and a camp was set up on the nearby farm of Woodstock. Within a week there were some 1500 men there. On the 14th June Rustenburg was occupied. The distance to Mafeking was 122 miles. By the end of June garrisons had been established at Rustenburg, Magato’s Nek, Elands river Post, Wonderfontein, Zeerust and Ottoshoop. For the next few weeks patrols went around to disarm the Boers who had not surrendered their arms. Those Boers who had surrendered returned to their farms. Despite the surrenders, it was noted by Captain Thomas of the NSW Bushmen that very few Mausers had been handed in. It was an ominous development which soon manifested itself in mid July with the news of a number of victories by small Boer guerilla units who had continued the fight. Suddenly things began to change. This new form of warfare gave the Boers some heart and once more, the burghers left their farms and joined local commandos. By the middle of July about 90% of the surrendered burghers in the Western Transvaal had taken up arms again. It was estimated that this put some 7000 men into the field. Baden-Powell’s small force could not risk being splintered. Rustenburg (the most easterly of the British garrisons) appeared to be the most vulnerable and orders went out from Baden-Powell on the 3rd July to the garrison commander, Colonel Hore, to retire to Zeerust. Rustenburg was to be abandoned. Two days later Field Marshal Lord Roberts countermanded the order and insisted that Rustenburg be re-occupied. Colonel Hore’s column met two squadrons of NSWCB under Colonel Holdsworth on the road past Elands River Camp and the combined forces rode back to Elands River. At Elands river camp Hore, who was suffering from the effects of malaria, decided he could go no further. The horses of A Squadron of the NSWCB were deemed to be so badly knocked up that they too were ordered to remain. Colonels Airey and Holdsworth continued the march to Rustenburg. The players in the forthcoming drama were beginning to assemble at Elands River camp. On the 10th July the Southern Rhodesian Volunteers at Vlakfontein under Captain Butters were ordered to reinforce the garrison at Elands river which was needed to protect the supplies now being sent to the troops at Rustenburg. The Boers made life difficult. The telegraph line from Rustenburg to Zeerust was cut and no contact with Elands River post was possible. On the 20th July Major Walter Tunbridge marched in to Elands river camp from Zeerust at the head of a strong detachment of 120 QMI. With them was Surgeon-Captain Duka and his medical team. On the 21 July Colonels Airey and Holdsworth left Magato’s Nek with a strong force of QMI, Victorian, NSW and Western Australian Bushmen to clear the road between Magato’s and Elands River. The result was the disaster at Koster River which led to the scattering of Airey’s force and the arrival of some 17 escapees from the battle at the Elands river camp. On the 25th July Baden-Powell warned Hore at Elands River to expect a Boer attack. The supplies at Elands River were a tempting target for the Boer guerillas and although patrols went out regularly to check on the presence of Boer commandos, there seemed to be a blissful ignorance of forthcoming events. Hore had done little to fortify the post. A patrol that went out on the 3rd reported no Boer presence of consequence. A concert was held that night for the troops’ entertainment. On the 3rd August the garrison at Elands River totaled 505 officers and men. It was estimated that as at 4th August 1900, the camp contained 1500 cattle, horses, and mules together with 100 wagons; overall sufficient supplies to maintain a force of 3000 for one month. The area and surrounding terrain resembled a large stadium, having high ground on three sides and an open area, approximately 2 to 3 miles across the centre, being occupied by the defenders. The Boer gunners could not have hoped for a better target as the maximum range from the high ground to the position was 2000 to 4000 yards. However the layout of the position was sufficient to deter the Boers from an infantry attack which in their opinion would have resulted in an unacceptable casualty rate. The Garrison Hospital. The Red Cross Flag is the third hoisted during the siege, two flags having been shot away. The strength of the Boer forces at the commencement of the siege were estimated to be between 2000 and 3000 men, their main artillery consisted of 1 x 15 pounder, 3 x 12 pounders, 1 x 7 pounder, 3 x Pom Poms and 1 x maximum gun. The artillery pieces being strategically placed on the high ground overlooking the position. The Boers were Commanded by General De La Rey. The strength of the defending force was 505 of which 301 were Australian Imperial Bushman. The breakdown of the Australians were: The Third Queensland Mounted Infantry 145, New South Wales Citizen’s Bushman’s 105, Victorian Bushman 42, and Western Australian Bushmen. The remainder were South African Colonials, largely Rhodesians. 9. The main weapons were 1 old muzzel-loading 7 pounder mounted on a 9 pounder gun carriage,1 x .303 inch service pattern maxim gun , and 1 x .45 maximum. 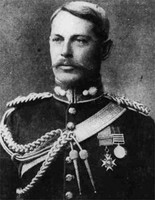 The defenders were commanded by Lieutenant Colonel Hore and his 2nd in Command was Major Walter Tunbridge (pictured below) who commanded the 3rd Queensland Mounted Infantry. Hore, being ill for most of the siege, left the hard decisions to Tunbridge. 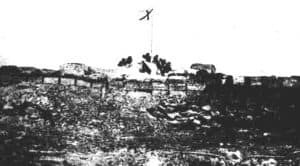 The siege commenced on the 4th of August 1900 and by the end of the day 1700 artillery shells had landed on the position, more than half the horses and cattle had been killed or mangled and the defenders had suffered 5KIA and 27WIA. The Australians who the day before had no enthusiasm towards to necessity to dig trenches now went about their task with renewed vigour at every break in the shelling. There are graphic eye witness accounts of the events of the first day which include the carnage caused by artillery falling amongst the tethered animals. These include accounts of animals being killed 20 and 30 at one time by artillery shells. Day two of the siege was similar to the first except that only 480 rounds fell on the position and the remainder of the animals were either killed or wounded and had to be put down. 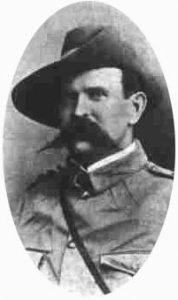 Lieutenant General Sir Frederick Carrington had been ordered to Elands River Post and left Mafeking on the 1st of August 1900 with an all-up strength of 1013 all ranks , mainly Australian Imperial Bushmen. He left a third of his force at Wonderfontein to protect his transport and by the 5th August, with a column of 600 troops supported by artillery, advanced to within half a mile of Elands River. Carrington’s force made contact with the Boers and the sound of his guns could be heard by the besieged troops. However, by the afternoon of the 5th of August Carrington began to take casualties and became convinced that his small force could not sustain a protracted engagement, so he withdrew to Zeerust, followed by a Boer commando under General Lemmer. The Garrison remained beleagured. History records that Carrington’s conduct of the 6 weeks campaign between Mafeking and Elands River shattered his reputation built up over 25 years of soldiering and he requested to return to England in 1901. Each day of the siege was similar with the Boers commencing fire at 6am and ceasing at dusk. The snipers continued with their mausers during the day. At last light the Boer gunners would sight their guns and fire them at about 10pm as they knew the defenders would take the opportunity to leave their cramped trenches at night. Each night the defenders would send out water parties to the river as the position did not have a water supply. General Baden-Powell with a force of 2000 mounted men was marching from the west towards Elands River to relieve Hore on the 6th Aug 1900. The heavy firing the day before convinced Baden – Powell that Carrington had arrived to rescue Hore’s force. Besides, a dispatch from Roberts now ordered him to retire towards Pretoria. Baden-Powell therefore returned to Rustenburg. Field Marshal Lord Roberts received Carrington’s despatch and congratulated him on not sacrificing his men in a futile attempt. He decided to leave Hore’s garrison to its fate, most likely because Baden-Powell’s force was needed to deal with De Wet who was known to be near the Magaliesberg to the west of Pretoria. Sergeant Austen wrote that Hore and his staff wanted to surrender and this may have happened had it not been for Major Tunbridge and other officers. Between the 11th and the 15th of August the intensity of the siege reduced although the sniping continued during the day . This was most likely because de la Rey had left with most of his senior commandants to meet with General Smuts to foment rebellion in the Western Transvaal. Only a token force (of the Wolmaransstad Commando) was left behind. Not surprisingly the Boers gave up attacking the water parties at night and each soldier was rationed 1 quart of water each day. However by the end of the two weeks they were unshaven, dirt-covered soldiers. At 6 p.m on 10th August 1900, Tunbridge was able to dispatch a rider to Carrington, stating that he was surrounded and had been under siege since 4th August 1900. On the 14th of August news received from General Carrington confirmed the Elands River garrison was still holding one week after Roberts had decided to “leave the garrison to its fate”. When a message from de la Rey to De Wet fell into the hands of one of Kitchener’s scouts stating that the garrison was still holding out, Lord Kitchener, who had been chasing De Wet, detoured on the 15th to relieve the colonials. He had under command the 2nd and 3rd Cavalry Brigades, Mounted Infantry, and two Infantry Battalions. A further Brigade under Major General A.S Hart followed five miles behind. At 8.30 a.m on 16th August 1900, General Lord Kitchener’s Column arrived at Elands river having covered 35 miles in 30 hours. By nightfall as many as 10,000 troops had passed through the camp and Kitchener’s convoy alone was over 10 miles long. During the siege there were many acts of bravery, too numerous to mention in this paper. However, a fair summing-up of the incident was made by General Smuts who in latter years served two terms as Prime Minister of South Africa. “There can only be one opinion about the fine determination and pluck of these stalwart Colonels, to many this terrific must have been their first experience of serious warfare. Deserted by their friends and then, owing to unreasonable obstinacy, abandoned by their disappointed enemies, they simply sat tight until Kitchener’s column, which was in pursuit of General De Wet, finally disinterred them from the carcass-covered Kopje, into which they had burrowed so effectually that it seemed unlikely they would ever come out of it”. 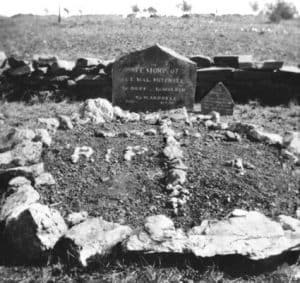 Graves of Australians killed in 1900 during the defence of Elands River against the Boers. 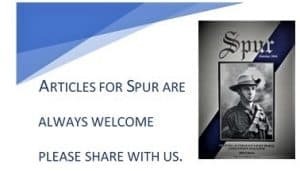 Our sincere thanks go to Robert L. Wallace, the author of “The Circumstances Surrounding the Siege of Elands River Post” for allowing use of material from his book and to Rob Droogleever for his historical editing.